Six Palestinian young men were wounded in clashes with Israeli occupation forces (IOF) at the northern entrance of Bethlehem city on Tuesday. A medical source said that one of the youths was hit with a live bullet while the five others were injured with rubber-coated metal bullets. The source added that 26 other civilians were treated for breathing problems due to the IOF excessive firing of teargas canisters. He pointed out that 3 of the wounded youths were taken for further treatment at Beit Jala public hospital while the other three were treated on the field. Two Palestinians were shot and injured with live bullets, while three others were injured with rubber-coated steel bullets during clashes in Bethlehem, on Tuesday, the Palestinian Authority Ministry of Health said. The ministry said two protesters were shot with live bullets, in their lower extremities, while one of those shot with a rubber-coated steel bullet was hit in the face. The conditions of the five are unknown. An Israeli army spokesperson said, regarding the clashes, that, "a riot of dozens of Palestinians," threw rocks at Israeli forces, who, "in attempt to prevent the escalation of violence, used riot dispersal means." Clashes at the northern entrance of Bethlehem have been a nearly daily occurrence since the start of October, amid increased tensions in the area, Ma'an News agency reports. Rights groups have long criticized Israel's excessive use of force when responding to demonstrations in the occupied Palestinian territory. In the West Bank, the UN Office for Humanitarian affairs reported that the total number of Palestinian injuries from Oct. 1 to Nov. 9 alone had far surpassed the total number injured during the whole of 2014. Over 7,000 Palestinians have been injured since the start of October, and 83 have been killed. A Palestinian youth was injured by Israeli live bullets whereas three others suffered suffocation in clashes that erupted Tuesday evening with Israeli soldiers to the east of al-Bureij refugee camp in central Gaza. 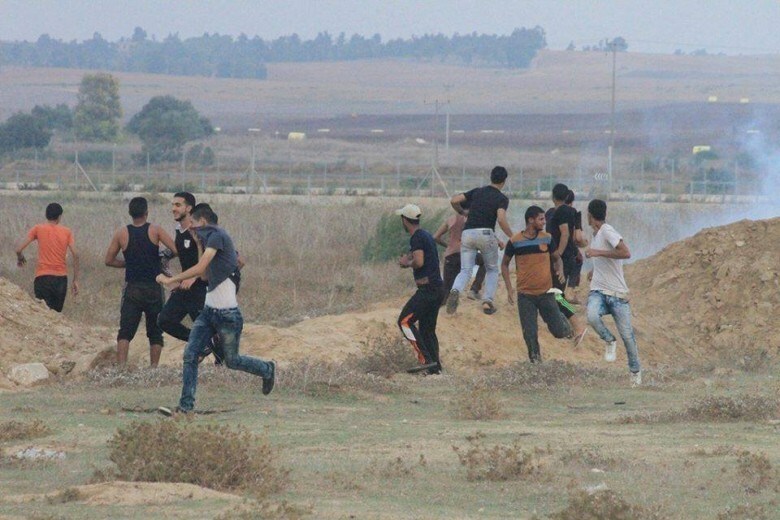 The PIC reporter said that dozens of Palestinian youths threw stones at Israeli soldiers deployed at the border area to the east of al-Bureij refugee camp. In another incident, Israeli forces opened indiscriminate machinegun fire at different locations in the southern Gaza Strip. Israeli soldiers shot and moderately injured, on Tuesday evening, a young Palestinian man, east of the al-Boreij refugee camp, in central Gaza. Israeli army and navy ships fire shells and live rounds into different parts of the coastal region. Medical sources said clashes took place near the border fence, in central Gaza, between many Palestinians who hurled stones and empty bottles on military vehicles and watch towers across the border fence, and Israeli soldiers who fired live rounds, gas bombs and rubber-coated steel bullets. One Palestinian was shot with a live round in his leg, and was moved to the Al-Aqsa Hospital in Deir al-Balah, suffering a moderate injury. In addition, Israeli navy ships fired two shells into an area, west of Gaza City, causing damage but no injuries. The navy also fired several live rounds on Palestinian fishing boats in the Sudaniyya Sea, northwest of Gaza City, forcing the fishers back to shore. In related news, Israeli soldiers stationed across the border fence, east of Khan Younis, in the southern part of the Gaza Strip, fired several live rounds into Palestinian agricultural lands east of the city. The Israeli army said it struck two targets in Gaza, allegedly “after rockets were fired from Gaza, and landed near the border fence,” and that the "shells did not cause the rocket sirens to sound." The army added that the targeted sites are run by the al-Qassam Brigades, the armed wing of Hamas. Earlier on Tuesday, Israel claimed that the al-Qassam fired shells into two kibbutzim close to the border, and later denied its own report. Israeli daily, Haaretz, said the Iron Dome system launched an interception missile after mistaking a bullet for a missile. The Israeli Occupation Forces (IOF) carried out at dawn Tuesday a new arrest and raid campaign across occupied Jerusalem and West Bank further escalating tensions in both regions. 25 citizens were rounded up during the pre-dawn campaign. In Nablus, ten youths were detained as IOF stormed different neighborhoods in the city and broke into dozens of local homes. In Jenin, the IOF launched similar raid campaigns in a number of towns in the city and erected several checkpoints. Several Palestinian vehicles were stopped and searched at the checkpoints, while one citizen was detained from his home. In al-Khalil, IOF soldiers stormed, in large numbers, Surif town south of the city which led to the outbreak of violent clashes amid heavy fire of tear gas bombs. Several tear gas suffocation cases were reported among local residents. Seven youths were detained during the raids including a young woman, while two others were arrested in Ramallah. In occupied Jerusalem, a 13-year-old Palestinian child was detained in al-Tur neighborhood west of the occupied city after Israeli police suddenly attacked a group of children while playing in the neighborhood. During the attack, Israeli police pepper-sprayed an elderly man and his son while trying to prevent their assault on the boys. Four other youths were rounded up in the occupied city. The Musta’ribeen unit (undercover police) raided on Tuesday morning the Schools’ Street in the neighborhood of Ras Al-Amoud in Silwan and fired live bullets in the air concurrently with arresting several students. Witnesses explained to Wadi Hilweh Information Center-Silwan that the Musta’ribeen unit raided Al-Mahdadeh Road which leads to the Schools’ Street when dozens of students were heading to their schools this morning. According to initial information, the Musta’ribeen unit fired live bullets in the air and attacked the students and arrested three of them. Witnesses also explained that the occupation forces were supporting the Musta’ribeen and took the detainees to the police vehicles. Several Palestinian workmen were physically assaulted during an Israeli police raid on Sunday night on their workplace inside the 1948 occupied lands. Some Palestinians, who escaped the raid and returned to their homes in Jenin, said that Israeli policemen and border soldiers stormed, overnight, places on the outskirts of Haifa city where workmen were sleeping and rounded up some of them. They added that they watched, as they were escaping from a place there, some of their friends being brutally beaten and kicked by policemen and soldiers. They also said that they had not budged from their workplace, where they also lived, for 40 days because their presence in the streets would cause them trouble, especially from the Jewish settlers. Hundreds of Palestinian workmen had been arrested in the past few weeks in the 1948 occupied areas and many of them were exposed to physical abuse by Israeli policemen. The Israeli occupation forces (IOF) on Monday night stormed Qaryut village, north of Nablus city, and violently raided several homes. Eyewitnesses told the Palestinian Information Center (PIC) that Israeli troops ransacked homes west of the village and intimidated their residents. They said that the invading soldiers caused material damage to the furniture of the raided homes and threatened the families and their children with arrest if they got near any settlement or threw stones at settlers. Later, the troops withdrew from the village after combing its western area. Local sources, however, affirmed that the Israeli occupation army deployed many soldiers at all entrances to the village before its withdrawal. In a separate incident, violent clashes broke out in the evening between young men and Israeli soldiers at the entrance to Osarin town, south of Nablus. One young man suffered an injury from a rubber bullet during the events and was rushed to Rafidia hospital for treatment. Thousands of Palestinians at noon on Monday bade farewell to martyrs Ahmad Abu al-Eish, 30, and Layth Manasrah, 20, who were killed in clashes erupted at dawn with Israeli soldiers after storming Qalandiya refugee camp in northern Occupied Jerusalem. 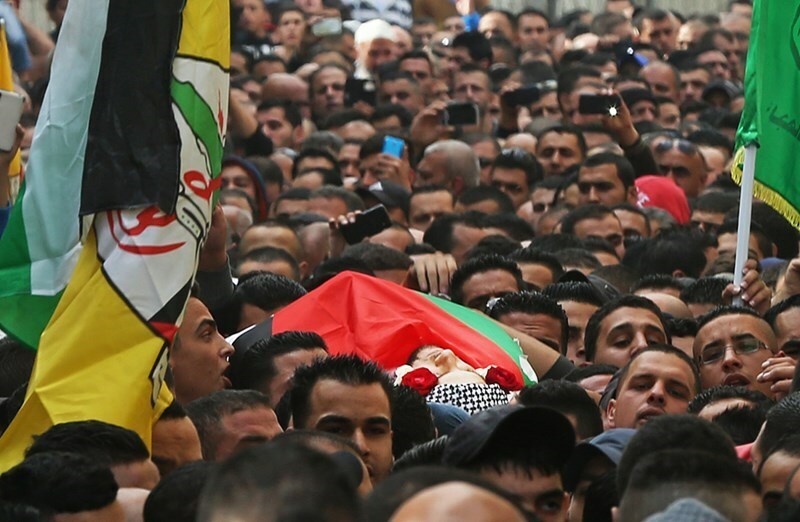 The funeral of martyrs included national angry chanting urging for avenging the martyrs and responding to Israeli crimes as well as activating armed resistance against Israeli occupation. The participants called for confronting Israeli forces who have escalated their aggressive violations against Palestinians in the camp in recent days. After the funeral, clashes erupted between Palestinian youths and Israeli soldiers at Qalandiya checkpoint. Palestinians threw stones at soldiers who fired their live and rubber bullets and unleashed tear gas canisters at Palestinian youths. More Israeli military enforcement were summoned in the vicinity of the barrier. Qalandiya refugee camp witnessed at dawn hours on Monday armed clashes with Israeli troops in the wake of storming the camp. The storming aimed at demolishing the house of the Palestinian prisoner Mohammad Abu Shahin who was accused of carrying out a resistance operation last June. A settler was killed and another was seriously injured in that operation. The Israeli Occupation Forces (IOF) stormed overnight Zabouba town west of Jenin and broke into local homes in the area. Local sources said a number of military vehicles broke into the town and deployed throughout its neighborhoods and roads which led to the outbreak of violent clashes. A 20-year-old boy was arrested during the raid. Meanwhile, another young man was detained while two others were injured as clashes broke out in al-Khalil south of occupied West Bank. Local sources told PIC reporter that the clashes erupted near Halhul checkpoint amid heavy fire of tear gas bombs. During the clashes, a number of youths suffered different injuries as IOF fired tear gas bombs towards local homes. At least one detainee was arrested during the clashes, while Israeli forces intensified their presence in the area and restricted the people’s movement. 23 Palestinians got injured on Monday in clashes with Israeli forces in al-Baloua neighborhood to the north of al-Bireh city in the central West Bank. Medical sources said that 19 residents including a medic were injured by Israeli live bullets, while 4 others, including 2 pressmen, were wounded by rubber bullets in violent clashes in al-Baloua district. Local sources said that Israeli forces fired live and rubber bullets at Palestinian youths at the northern entrance of al-Bireh city leading to injuries among Palestinians. During the confrontations, Israeli soldiers opened their gunfire at a Palestinian ambulance smashing its windshield, the sources pointed out. Israeli soldiers kidnapped, on Monday at dawn, two Palestinians in Nablus, and two in Jenin, in the northern part of the occupied West Bank, during military searches that targeted many homes. The soldiers invaded the eastern neighborhood in the northern West Bank city of Jenin, violently searched several homes and attacked many Palestinians, before kidnapping two residents identified as Anas 'Attoum and 'Alaa Wishahi. The soldiers confiscated money from the Wishahi family home, and fired several rounds of live ammunition during the invasion. In Nablus, the soldiers invaded ‘Askar refugee camp, east of the city, stormed and ransacked a number of homes, and kidnapped two Palestinians, identified as Saber al-Lahham, 32, and Mohammad Ahmad Nabhan, 30. Israeli soldiers conducted massive invasions and searches of homes and property, beginning in the late night hours on Sunday, and continuing through Monday at dawn, in different parts of the southern West Bank city of Hebron and nearby communities, and kidnapped five Palestinians. The soldiers invaded Beit Ola town and stormed the Islamic Charitable Society after smashing its main door. They ransacked the office, causing excessive damage before confiscating computers, documents and other equipment. Hatem al-Bakri, the head of the Society’s Administrative Board, said the group provides educational, social and medical services to more than 4000 orphans, and that the Society has been a target for the Israeli military for many years. "We have no political affiliation with any political party or group," he said, "By targeting us, Israel is harming more than 4000 orphans, who could end up homeless if they lose our support." 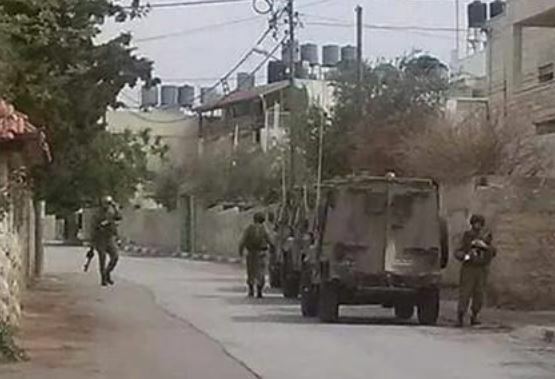 In Hebron city, the soldiers kidnapped Amer Safeeq al-‘Oweiwy, 31, from his home in the Salaam Street, Husam Fakhri al-Hashlamoun from his home in Abu Kteila area, Hamza Abdul-Halim Abdul-Majid, 22, from al-Qate’ area, and Husam Shaher Ahmad Natsha, from the Eissy area. 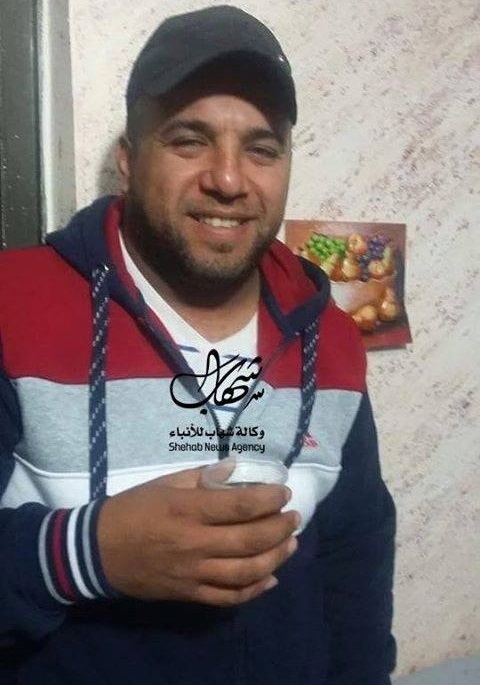 Another Palestinian, identified as Mohammad Rajeh Abu Na’ous, was kidnapped from his home in Yatta town, after the army stormed and ransacked his property. The soldiers also searched dozens of homes in the Salaima, Jaber, Qeitoun, Tal’at Abu Hadeed, Tal’at at-Takroury and Jroun Jarad neighborhood. The soldiers took names and ID numbers, in addition to other information about the residents of the invaded homes. In addition, the soldiers stormed the home of Ra’ed Jaradat, who was killed by Israeli army fire on Monday, October 26th, and took measurements of the property, apparently in preparation to demolish it. 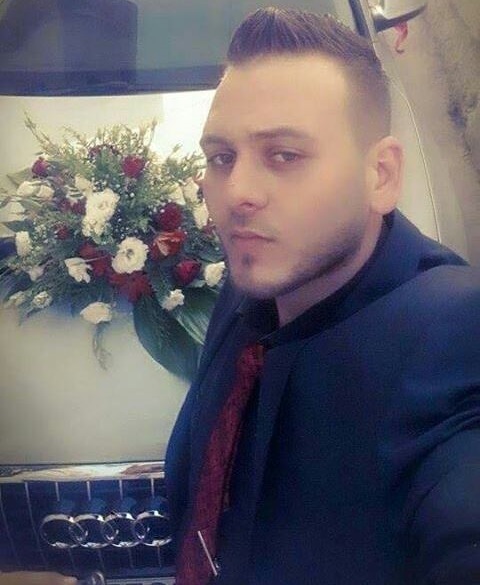 The army further invaded the home of detainee Azzam Shalalda, who was kidnapped by Israeli undercover soldiers while receiving treatment for his wounds, in the al-Ahli Hospital in Hebron; the soldiers also assassinated his cousin Abdullah Shalalda who was with him in his hospital room. The Israeli occupation forces (IOF) at dawn Monday raided the orphanage of the Islamic Charitable Society in Beit Ula town, west of al-Khalil city. Local sources said that a large number of Israeli soldiers aboard military vehicles stormed the town, patrolled its neighborhoods, broke into the building of the charity and cordoned off the area around it. They added that the invading troops ransacked the charity's offices and rooms and confiscated files of orphans. Two Palestinian fishermen were left wounded on early Monday morning after they were hit by Israeli machinegun fire off Gaza’s northern shore. 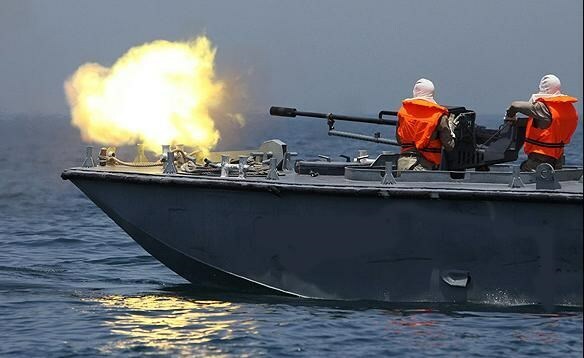 Palestinian sources said an Israeli warship chased down a Palestinian fishing boat sailing off Gaza’s northern shore, before they showered the vessel with heavy machinegun fire, wounding two fishermen onboard. The casualties were transferred to the Shifa hospital to be urgently treated for the inflicted wounds. 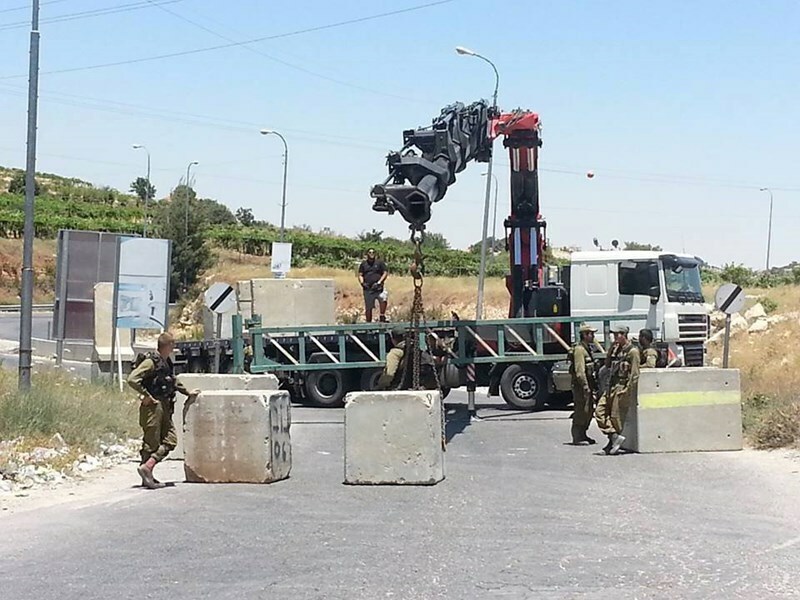 The Israeli Occupation Forces (IOF) closed Sunday the western entrance to Samu town south of al-Khalil. Local sources said that large numbers of Israeli forces accompanied with a military bulldozer closed the western entrance to the town and prevented Palestinians’ movement. 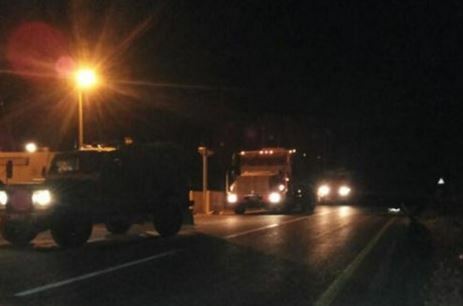 Israeli forces have earlier intensified their presence at the entrances to the southern towns of al-Khalil and closed all roads leading to Yatta town. A military checkpoint was also erected at the entrance to al-Fawar refugee camp, where local residents were provocatively searched. The Israeli restrictions came in an attempt to look for the suspects of the alleged shooting attack that took place two days ago near Samu town, leaving two settlers dead. Israeli soldiers invaded, on Monday at dawn, the Deheishe refugee camp, in the West Bank city of Bethlehem, kidnapped a young woman, and injured at least four young Palestinian men. 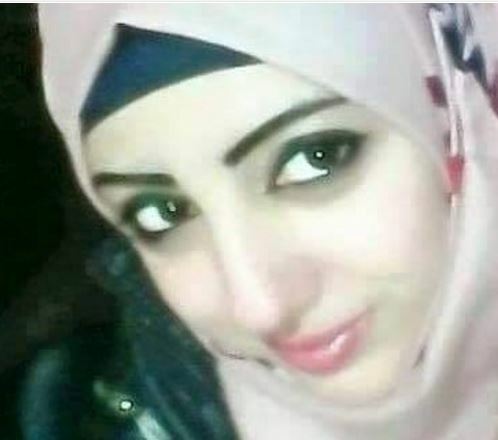 The soldiers invaded the family home of Donia Ali Musleh, 19 years of age, and kidnapped her after violently searching and ransacking her home. The soldiers also stormed and ransacked a number of homes during the invasion, and interrogated several Palestinians while inspecting the ID cards. The invasion led to clashes between the soldiers and local youths, who hurled stones and empty bottles on them. The army fired “Tutu” hollow-point bullets wounding four young men, and withdrew taking the young woman to an unknown destination. 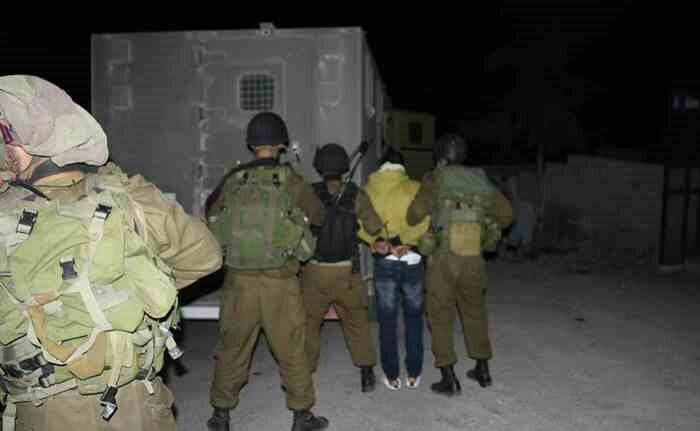 The Israeli Occupation Forces (IOF) launched at dawn Monday a large-scale raid and search campaign during which nine civilians were detained including a young woman. In al-Khalil, IOF raided different neighborhoods and homes in the city before the arrest of four youths. A Palestinian vehicle was also subjected to a shooting attack at a military checkpoint after the driver refused to stop his car. 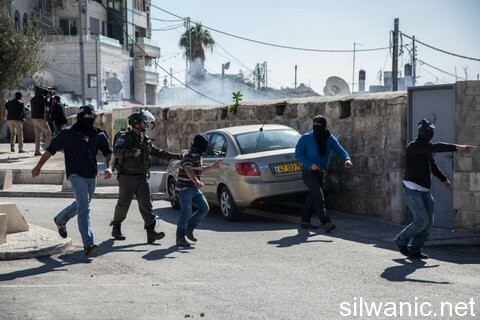 The driver managed to flee the scene while Israeli forces closed all the entrances to the southern towns of the city. 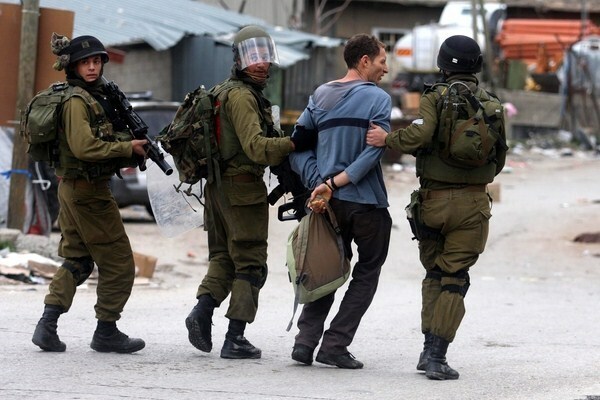 In Jenin, two Palestinians including an injured man were detained during a raid and search campaign across the city. 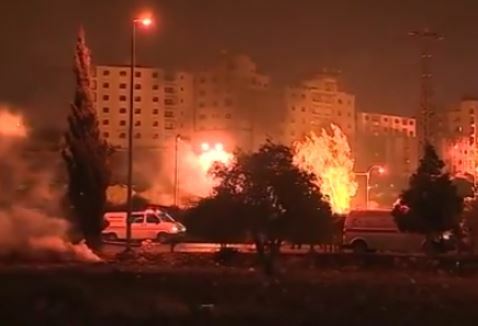 Local sources said that large numbers of Israeli soldiers stormed the city and deployed throughout its neighborhoods which led to the outbreak of violent clashes with local youths who stoned the invading soldiers. During the raid, IOF soldiers stormed and violently searched the home of the injured man Alaa Wishahi before his arrest. 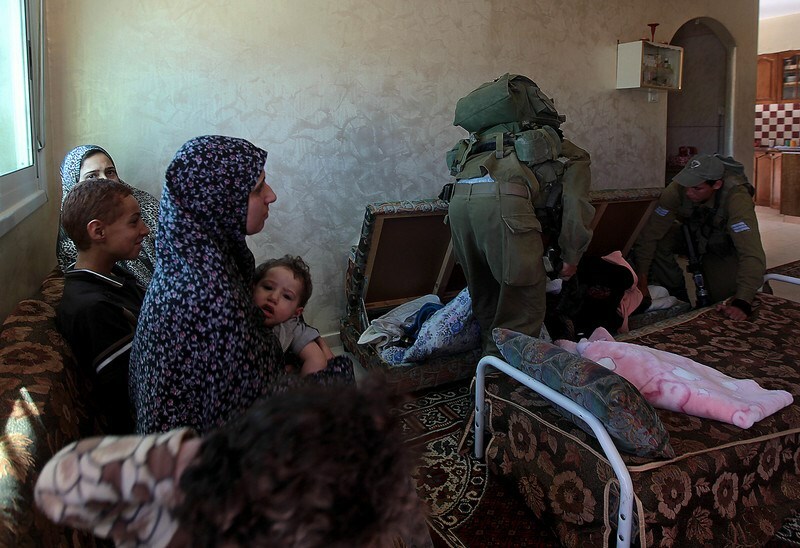 A second detainee was also arrested as IOF soldiers broke into his family home. 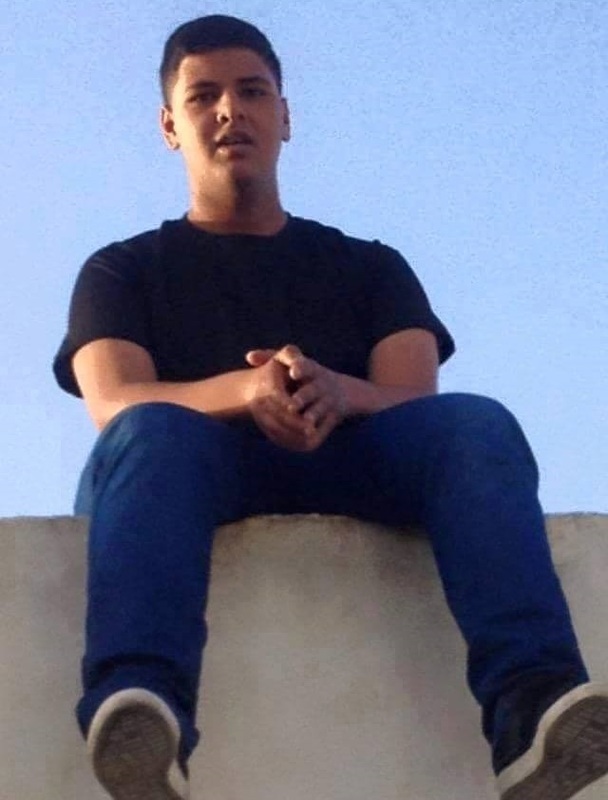 In Nablus, two youths were arrested after Israeli forces stormed Asker refugee camp. In Bethlehem, a 19-year-old young woman was arrested from her family home in Dhoheisha refugee camp which led to the outbreak of violent clashes in the camp. Four local youths were injured during the clashes as IOF heavily fired tear gas bombs and live ammunition. On Sunday, Israeli soldiers and paramilitary guards of an illegal Israeli colony invaded a Palestinian olive orchard in Beit Ummar town, north of the southern West Bank city of Hebron, attacked the family and forcibly removed them from their own land. Media spokesperson of the Popular Committee against the Wall and Settlements in Beit Ummar town, Mohammad Ayyad Awad, said paramilitary settlers of the Beit Ayin illegal colony, built on Palestinian lands, and Israeli soldiers, invaded an olive orchard before attacking and removing Hammad Abdul-Hamid Sleibi and his family from their land. The orchard is located in Wad Abu ar-Reesh, north of Beit Ummar, close to the illegal colony that was built on privately-owned Palestinian lands. The security guards attacked the Palestinians and chased them while threatening to shoot them with their automatic rifles, while the soldiers fired gas bombs and concussion grenades on the family, forcing them out of their own olive orchard. Israeli forces on Sunday expelled a Palestinian family out of their land adjacent to Beit Ein settlement outpost in northern Beit Ummar town in al-Khalil governorate. 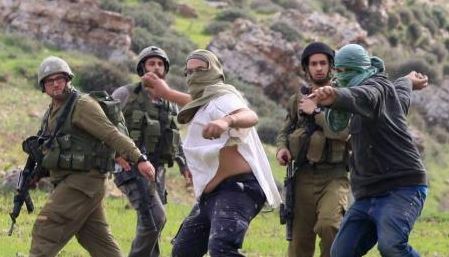 The media spokesman of the Popular Committee against Settlement in Beit Ummar, Mohammad Awad, reported that the settlement's security forces attacked the Palestinian Hammad al-Salibi along with his family while picking olives in their land. Israeli army escorted the security forces, chased the family in the nearby olive fields, and fired sound bombs and tear gas canisters at the family forcing them to leave their land, Awad pointed out. Eight Palestinians, including a cameraman working for France Press, have been injured on Sunday evening, after several Israeli military vehicles invaded the northern West Bank city of Qalqilia. The invasion led to clashes with dozens of local youths, who hurled stones and empty bottles on the military vehicles. The army fired rounds of live ammunition, gas bombs and rubber-coated steel bullets. Medical sources said eight Palestinians, including cameraman Ja’far Eshteyya, were shot with rubber-coated steel bullets. The sources added that at least fourteen other Palestinians suffered the effects of tear gas inhalation, and received the needed treatment. Also on Sunday, Palestinian medical sources reported Sunday that a 2-year-old toddler was injured after an Israeli military vehicle struck him in Bir Niabala town, in the Central West Bank district of Ramallah, and that a woman was injured in a similar incident in Ramallah. In addition, six residents were injured by Israeli army fire after the soldiers invaded al-Baloa’ area in the al-Biereh city, leading to clashes with scores of local youths. Palestinians medical sources have reported, Sunday, that six residents were injured by Israeli army fire after the soldiers invaded al-Baloa’ area in the al-Biereh city, leading to clashes with scores of local youths. The sources said two Palestinians were shot with live rounds by army sharpshooters, and four others were shot with rubber-coated steel bullets, and many suffered the effects of tear gas inhalation. 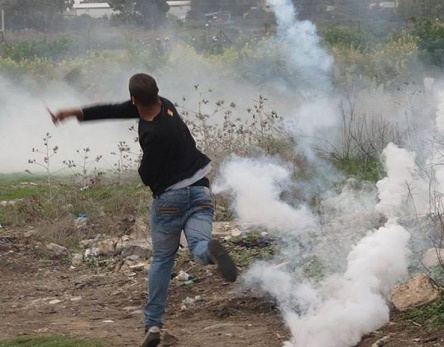 The clashes erupted after several military vehicles invaded al-Baloa’, after dozens of residents held a protest close to the Beit El illegal colony. The army also attacked many Palestinian journalists, and tried to forcibly remove them from the area. Beit El is the location of a major military base and the head office of the so-called Civil Administration, run by the Israeli military occupation. Dozens of Israeli soldiers invaded, on Monday at dawn, the Qalandia refugee camp, north of occupied Jerusalem. The troops killed two Palestinians during clashes with resistance fighters, wounded 34, and demolished one home. The soldiers exchanged fire with armed resistance fighters during their invasion of the refugee camp, killing two Palestinians, identified as Laith Ashraf Manasra, 25, and Ahmad Abu al-‘Aish, 30 years of age. The Palestinian Health Ministry said the two slain Palestinians were transferred to the Palestine Medical Center. Army sharpshooters also occupied the rooftops of several homes in the refugee camp, shot and injured 34 Palestinians with live rounds; some of the wounded suffered moderate to severe wounds. 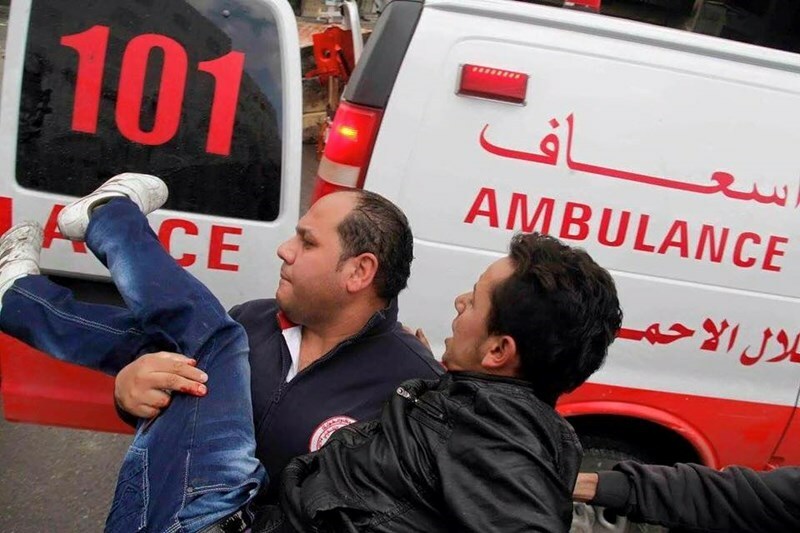 The soldiers fired several gas bombs at Palestinian medics and ambulances, and obstructed many medics trying to provide the needed aid to wounded Palestinians, detaining the ambulances for extended periods before finally allowing them through. The army also demolished the second floor of a home belonging to the family of detainee Mohammad Abu Shahin, who is held by Israel for allegedly “participating in killing two Israeli settlers, and wounding three others”, in July of this year. Eyewitnesses said the soldiers invaded the camp while firing dozens of rounds of live ammunition, and advanced towards the home of Abu Shahin, before wiring the home and detonating explosives inside it. The deaths of the two men makes the total number of Palestinians killed since October 1st eighty eight. Ten Israelis have been killed by Palestinians in the same time period. Over 3,000 Palestinians have been wounded, many of them seriously. More than 1300 Palestinians were shot by live ammunition during this time period, according to the Palestinian Ministry of Health. Two Palestinian civilians were killed by the Israeli occupation army in the Qalandiya refugee camp at predawn time Monday in clashes sparked by the demolition of the home of a Palestinian anti-occupation activist. Medical sources said 28-year-old Ahmad Abu al-Eish, and 21-year-old Leith Manasra were shot dead by Israeli bullet fire in the Qalandiya refugee camp. Dozens of Palestinian civilians were shot and critically injured by Israeli live rounds in the same clashes. The Israeli occupation patrols further kidnapped an injured minor from the ambulance. Eye-witnesses identified the child as 17-year-old Youssef Abu Latifa, who was critically wounded in the Qalandiya clashes. On-the-spot observers further reported cases of aggressive attacks and heavy discharge of tear gas canisters on the ambulance and paramedical staff in the area. An eyewitness was quoted by a PIC journalist as reporting that the occupation army cordoned off the area at 2 a.m. before they broke into the camp and knocked down the home of activist Muhammad Shaheen, who Israeli officials claim killed an Israeli settler in June near the West Bank province of Ramallah. Violent clashes flared up shortly afterwards, resulting in the murder of Abu Eish. Palestinian media reported that the Israeli occupation troops summoned military reinforcement, fanning the flames of the simmering tension that burst out at the refugee camp. An Israeli chopper kept, meanwhile, hovering over the territory to ensure the safe backtracking of the army troops. Shortly after, over 1,000 Israeli soldiers re-rolled into the camp, and sealed it off from all corners, sparking violent clashes. Ashraf al-Shou’ani was shot and killed right on the spot. Recent months have seen a dramatic surge in Israeli demolitions of Palestinian civilian homes, triggering the wrath of a plethora of national and international human rights organizations. The practice of demolishing the family homes of Palestinian anti-occupation activists has often been criticized as a form of collective punishment against the Palestinian people.